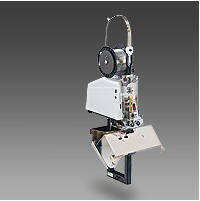 Sprint bookletmakers have long been regarded as tops in the industry. 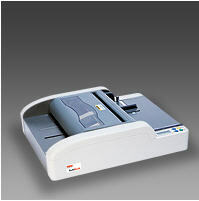 Paired with an optional trim- mer, either model may be combined with a variety of collators for a complete document finishing system. Both feature easy set-up and adjustment, variable speed, and powered exit conveyors. The StitchFold bookletmaker utilizes a patented, wire-fed stitching system that eliminates the need for pre-formed staples. 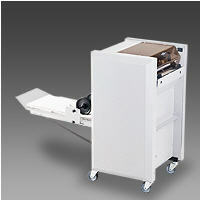 This low maintenance machine jogs, stitches, and folds up to 65,000 booklets before the spools need replacing. An optional trimmer can be combined with the StitchFold for the ultimate finishing system. The Bookletmaker Jr. and Autobook are excellent choices for organizations looking for a dependable, cost-effective model.